Or at least 'something' Garden. There's also some weird side effects on how you set your prices. The likelihood of people following these instructions was directly proportional to the amount of money I was charging them. Some irrational psychological effect says that something which was expensive is more valuable. I eventually did the math and realized, my customers actually got more for their money if I charged them triple the rate I had been charging. Providing exactly the same service for triple the price got them to actually follow instructions which saved them from expenses even greater. But the weird fakeouts of irrational pricing effects don't stop there. If I went to one of my old customers and gave them a *BILL* that gave the tripled price and then a huge discount for our longstanding business relationship totalling out to about the same amount I had been charging them.... that was almost as effective for purposes of security - in terms of getting them to follow instructions - as actually charging them triple. Artificial Intelligence consulting is also irrationally priced, but it's a different set of irrationalities. People aren't usually left with instructions that require them to proactively maintain and monitor things that are inconvenient or that they would otherwise ignore, so the "won't follow instructions because they were cheap" effect isn't as dire for their return-on-investment. However, there are some subsets and specialties in this business where people overstate what they can achieve (and charge) specifically *because* they lack the knowledge to know why they can't or what makes it hard. This also has the effect of inversely correlating cost and benefit for the customer within those particular subsets and specialties. Doing AI chassis mods and repairs? I don't know that business; I don't think we have a real equivalent. But the question of how to price your services and whether a higher or lower price provides more value for customers is far from trivial. Beatrice would do well as a pseudo-Wilson Fisk and maybe have Faye and Sam as plucky civilian sidekicks with surprising fighting skills of their own. I refuse to believe that. We have Great China, Lychee, No. 1, Gourmet Buffet, Wong's Wok, Main Moon, and the one closest to my home, Best Food in Town. Just in my little town, we have two locally owned places: the conventionally named China Garden and Ko's Garden -- I think Ko is actualy the owner's name, but the ma-and-pa team that run things don't encourage banter with customers. Farther afield (the county seat) we have China House, Fortune Kitchen and Kam Wah 28 (what happened to Kam Wah 1-27, the world or maybe just I want to know). Casting the circle wider, we have your pick of Chinese places, all named according to the one-from-column-A, one-from-column-B naming scheme that is used for Chinese restaurants and oceangoing freighters. There are a lot more, but I mostly stayed near campus. For decades! This town is either very juvenile or very oblivious. I haven't actually been there, but I have seen photographic evidence (pre-photoshop era). None of the four near me have either Panda or Garden in their names. There is a Panda Garden about half an hour away though. We do have a couple of places around that have the word "Garden" in their names. Significantly more of them contain the word "Golden." One of them wins the Quinella with "Golden Garden." Huh. So it actually means something. And there were two of them (mine is in Longview WA, about 45 minutes away). Life is full of surprises. Which is why he was kicked out. We have one called the "Tak A Wa"
Which, when said in a broad Dundonian accent, is probably the ENTIRE reason it was called that. But didn't he openly state that he funded the next PiL records with the money from those tours? (I just saw them last month. I was literally within touching distance of him. These names seem to go to one end of the spectrum or the other. 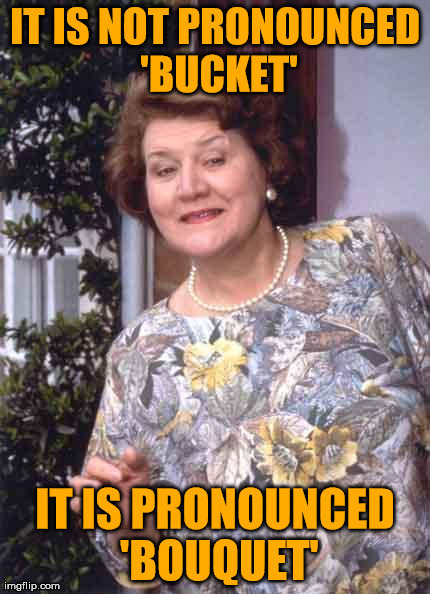 On the really-really-basic end of the spectrum, I used to live in a town that had a restaurant named the Curry Bucket. Mostly a takeaway and delivery place, although they had a small dining room. Their specialty was, in fact, curry of various kinds, and they did, in fact, serve (and deliver) it in buckets. You'd get families coming in and sitting down and arranging their plates, and then there'd be a bucket of curry and a bucket of rice on their table and they'd dig in. There was a small deposit for the buckets, which were stainless steel; but they were free if you exchanged them for empty ones. I think they had to shut that practice down though because some health inspector or other noticed that somebody could use those buckets for, eg, gasoline or motor oil or arsenic or something and turn them back in, and even going through the soak, high-pressure wash, and steam cleaning there was just no way something that had been used for those things was fit to serve food in ever again. Which, to be fair, is a good point. There are, or were, a number of Pho noodle shops in my area at one time. Most have disappeared and been replaced by various curry and Indian sweet shops. The two that stand out in my memory were Pho'88 which was/is a chain and a mom-pop three generation establishment that soon disappeared after they sadly passed away. The grandpa made amazing spring rolls and could make em as fast as most Babas made gnocchi. Ah, it was called "Pho King Noodle". There is an absolute ton of Pho shops in and around Atlanta as well. Which delights me to see as pho is delicious. But it's interesting to see so many more of those sorts of specialty restaurants open up and doing so well. I suppose it's showing my age coming from a time when restaurants were at best labeled with a country of origin and most often any food from south east Asia outside of India was labeled as 'Chinese' regardless of country of origin. Now you can find not only restaurants from proper countries cuisine, but focusing on specific dishes even in relatively rural southern areas of the US. Ah, it was called "Pho King Noodle". There's a place around here called "Pho King 4". I haven't been there, though, since there are plenty of food options that *aren't* on streets undergoing massive construction. Pho King anything done sincerely is fine, but that's another one ripe for a gag. Given where I live, I strongly suspect that there's an aspect of "getting crap past the radar" at work here. Stealing from a friend of a friend who wanted to open, in a strip mall, adjoining establishments: A cafeteria-style diner specializing in Vietnamese noodle dishes, next to a tack shop. He would call them: "Pho Queue" and "The Horse You Rode In On." To be fair, I haven't listened to any of their stuff since (I think) freshman year of college back in 2004. The Asian restaurant near my workplace is named Tasty Joe's. There's a Thai restaurant in San Francisco called "Phuket Thai", and no, it's not pronounced that way... more like "Poo-kay", IIRC.